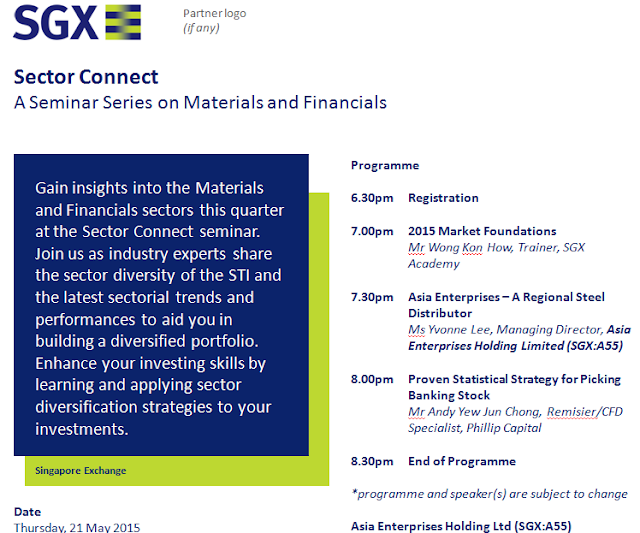 I will be sharing one of the most interesting Topic in just 30min, Proven Statistical Strategy for Picking Banking Stocks in the SGX Sector Connect Seminar at Bishan Library tomorrow. Do catch me there! Just drop me a message if you need this topic to be repeated on other dates, we will keep you updated!